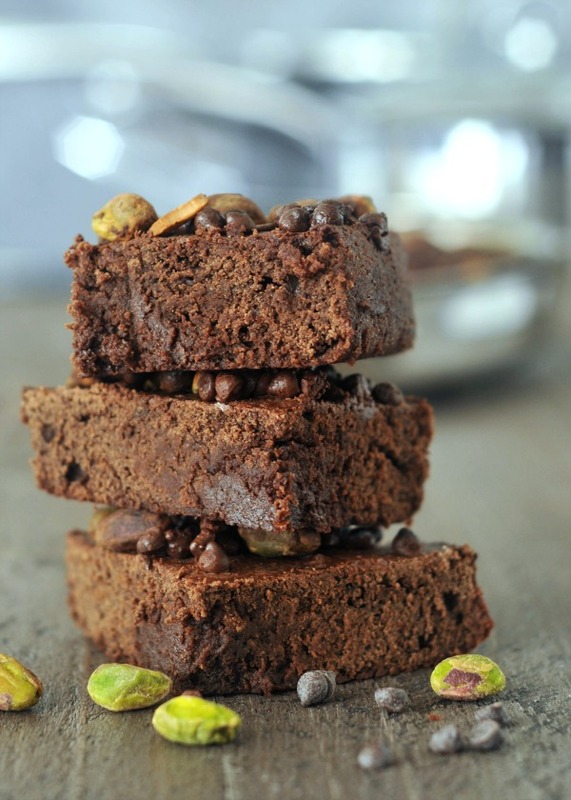 Salty Pistachio Small Batch Brownies – a super quick, easy, and delicious recipe for your air fryer! a craving for a brownie? have one in 20 minutes time! 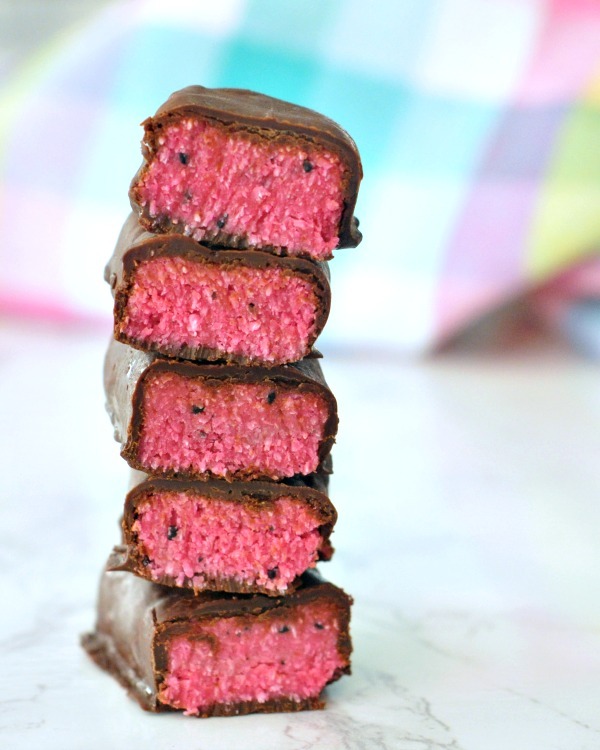 Dark Chocolate Dragon Fruit Coconut Treats – a light sweet and bright pink treat that is quick and easy to make with just a few ingredients. You guys, I finally found Pitaya Plus locally. Okay, I think it’s always been here, I just had to track it down at a store I don’t often visit. I have been making up for lost time with smoothies and bowls and eating the cubes raw and pink fingers and all the dragon fruit things. 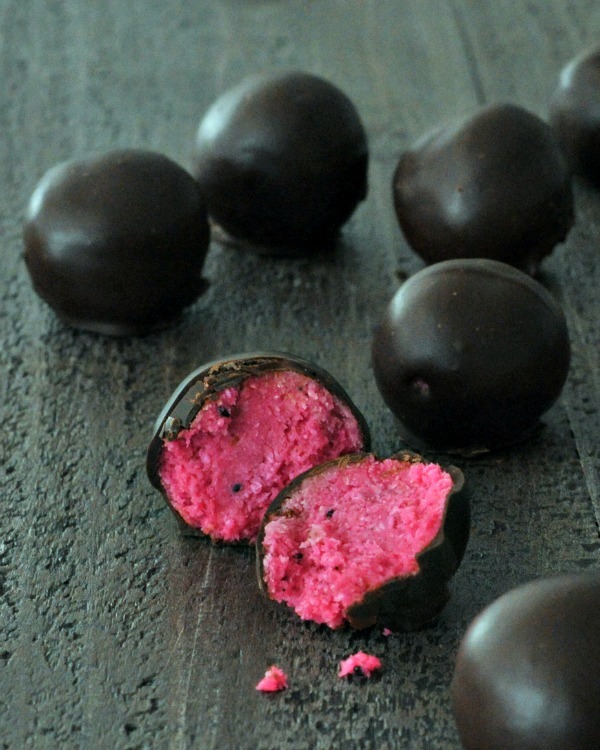 Then I combined the pitaya with coconut and dipped it in chocolate. Sparkly White Chocolate Cinnamon Crunch Bark – this quick and easy four ingredient bark is the perfect last minute sweet treat for parties and cookie trays! I love holiday cookies and treats! We bring them to parties, I make them for friends and neighbors, and they are added to the gifts for all the fine folks who make deliveries to our house, nearly daily. We have been stuck in the house for five days, since we live on a hill and it just snowed a fair amount in Portland. I have spent these snow days making all kinds of treats for my cookie boxes and plates, including this Sparkly White Chocolate Cinnamon Crunch Bark. So good. Fudgy Cardamom Squares – incredibly flavorful with a fudgy consistency, these warmly spiced bars will disappear fast – you should just make a double batch. I have been a fan of Vegan Richa for years – drawn in with her stunning photography, I keep coming back for her inventive recipes using complex layers of flavor and bright colors. I love the flavors of Indian foods – Jason and I both do – and have a few favorites that I make often. Richa’s recipes are not only delicious, they are approachable as well. Also, have you ever seen a Richa burger? They are epic. Just like her blog, Richa’s book is a welcoming and beautiful journey through the savory flavors of Indian cooking. She demystifies spices and ingredients unfamiliar, transforms traditional recipes in a modern way, and leaves vegans happily able to enjoy a vast variety of fantastic recipes. Piña Colada Cheesecake Bars – an update on that classic “Jello Salad” we all grew up with – a new flavor and a crunchy pretzel shortbread crust – yum! I am way too excited about this recipe. So Delicious recently released a coconut based whip topping, and it is good. I was able to preview a bunch of their new product and holiday seasonal items (fun stuff coming soon! ), and this Coco Whip is what I was most excited about. You can find this in stores now. I have two tubs for this week alone. Before this even landed on my doorstep, I knew exactly what I would make. Growing up, our holiday table always included a jello salad. Now, I have that same question many ask – why is this called salad? Whatever it was originally called, back then it was my favorite. I have updated the original recipe from my Grandma Z, adding a pretzel shortbread crust and … well I don’t call it salad. New York Cheesecake – a vegan and gluten free version of the classic and decadent dessert – the New York version may be ‘plain’ but it is best! One of my favorite desserts has always been cheesecake. Sometimes I am in the mood to experiment with flavors, but most of the time I prefer a plain New York style cheesecake.